Cousin Nodes: Cousin nodes are the nodes who are at the same level in the tree and whose parents are siblings. Check the height of both the nodes, if heights are different then return false. 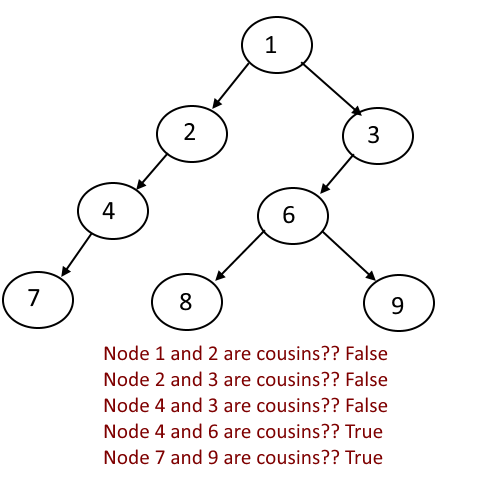 Check if both the nodes has the same parent, if yes then return false. 227 queries in 0.106 seconds.